This book is free to the public. You can download the book on this website. In modern democracy, voters should be able to use elections to control parties and politicians. Citizens lose control when their electoral voice does not compel parties and politicians to act according to the will of the people. Repeated free and fair elections are supposed to function as a mechanism of electoral control. To evaluate electoral control, citizens need the right data on candidates, parties, and parliamentarians. 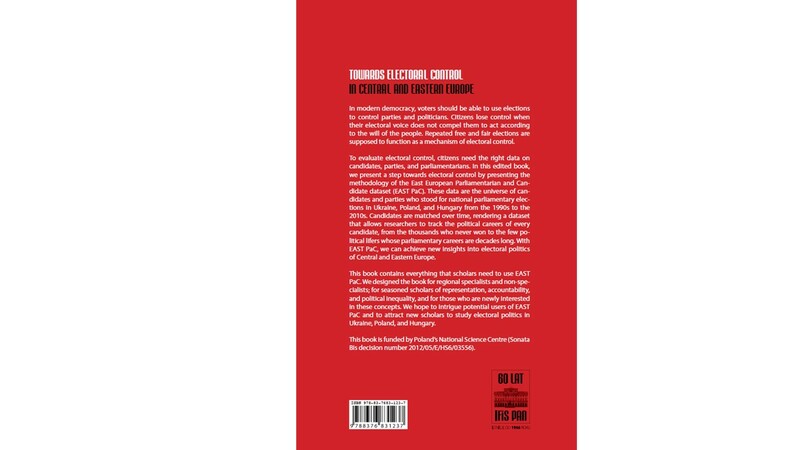 In this edited book, we present a step towards electoral control by presenting the methodology of the East European Parliamentarian and Candidate dataset (EAST PaC). These data are the universe of candidates and parties who stood for national parliamentary elections in Ukraine, Poland, and Hungary from the 1990s to the 2010s. Candidates are matched over time, rendering a dataset that allows researchers to track the political careers of every candidate, from the thousands who never won to the few political lifers whose parliamentary careers are decades long. 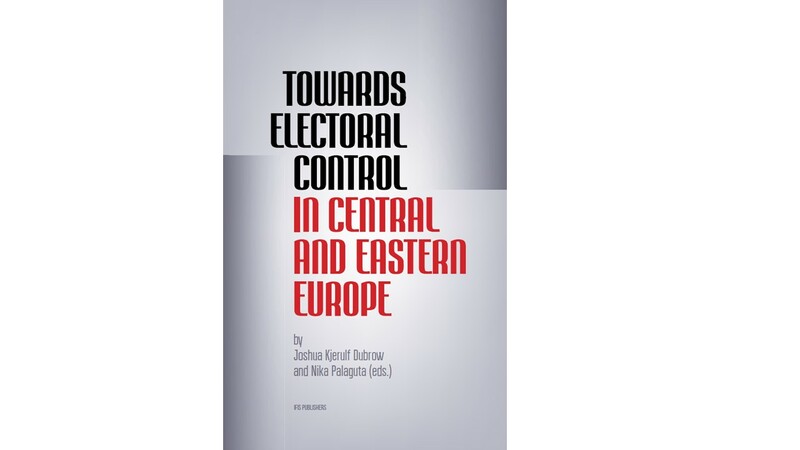 With EAST PaC, we can achieve new insights into electoral politics of Central and Eastern Europe. This book contains everything that scholars need to use EAST PaC. We designed the book for regional specialists and non-specialists; for seasoned scholars of representation, accountability, and political inequality, and for those who are newly interested in these concepts. We hope to intrigue potential users of EAST PaC and to attract new scholars to study electoral politics in Ukraine, Poland, and Hungary. We dedicate the book to Bohdan Solchanyk, a university lecturer in Lviv and a member of the team that collected the 2012 candidate data in Ukraine for this project, died on February 20, 2014. He was 28 years old. According to an article about him in The New York Times, Bohdan was “killed by a bullet on Thursday in Kiev in the carnage on and around Independence Square.” Bohdan was a doctoral student at the Graduate School for Social Research, Warsaw, Poland. We celebrate his life and we mourn his loss. This book is funded by Poland’s National Science Centre (Sonata Bis decision number 2012/05/E/HS6/03556). Joshua Kjerulf Dubrow received his PhD from The Ohio State University and is an Associate Professor at the Institute of Philosophy and Sociology, Polish Academy of Sciences (IFiS PAN). He is the Editorial Advisor for Ask: Research and Methods, and recently edited the book, Political Inequality in an Age of Democracy: Cross-national Perspectives (Routledge, 2015) and co-edited the International Journal of Sociology (Taylor and Francis) 2016 issue on “Political Behavior and Big Data.” He is a co-author of the forthcoming book, Dynamic Class and Stratification in Poland (CEU Press). He is the Principal Investigator of the National Science Centre funded project that led to this book. Anna Kurowicka is an assistant at the Institute of Slavic Studies and a PhD candidate at the Graduate School of Social Research at the Polish Academy of Sciences. Her dissertation is on gender and sexuality in Poland and the United States. Nika Palaguta is a PhD Candidate of the of the Graduate School for Social Research, Institute of Philosophy and Sociology, Polish Academy of Sciences and a research assistant for this National Science Centre funded project. Her dissertation is on right wing parties and populism in Europe. Her research has recently appeared in the Journal of Refugee Studies. Zsófia Papp is currently a Research Fellow at the Centre for Social Science (Hungarian Academy of Sciences). She obtained her PhD in 2014 at the Corvinus University of Budapest. Her research is focused on the career-tracks of national representatives and its connection to behaviour in parliament and electoral performance. She is also interested in electoral system effects under mixed-member electoral rules, and investigates how system characteristics influence campaign personalization, constituency orientation and focus of representation. She regularly teaches introductory and quantitative methodology classes at the Corvinus University of Budapest at the MA and PhD levels. Nataliia Pohorila works for SOCIS – Center for Social and Marketing studies, Ukraine. Nataliia supervised a team who compiled the candidate data in all democratic elections in Ukrainian Parliament in 1992-2002, and is the leader of the Ukrainian team that has updated these data for the Electoral Control project until 2014. Her work on trust in politicians was published in the International Journal of Sociology in 2005. Zbigniew Sawiński is Professor at the Institute of Philosophy and Sociology Polish Academy of Sciences (IFiS PAN), and Professor at the Educational Research Institute (IBE) in Warsaw. His research focuses on social stratification and mobility, educational inequality, and methodology of cross-national research. His publications appeared in European Sociological Review, Quality & Quantity, Social Science Information, International Journal of Sociology, Ask: Research and Methods, Studia Socjologiczne, Edukacja, and in GESIS – Leibniz Institute for the Social Sciences. Marcin Ślarzyński is a PhD candidate at the Graduate School for Social Research, Institute of Philosophy and Sociology, Polish Academy of Sciences. His professional interests include comparative-historical and theoretical studies of nationalism, civil society organizations, and right-wing politics in Europe with a focus on Poland. His research combines qualitative and quantitative methods. Kazimierz M. Słomczyński is Professor Emeritus, Department of Sociology and Department of Political Science, The Ohio State University, Director of CONSIRT, and is Professor of Sociology at IFiS PAN. He has been the director of the Polish Panel Survey (POLPAN 1988 – 2013) since its beginning. His research on stratification, politics, and social change has appeared in the American Sociological Review, World Politics, Party Politics, and the International Journal of Sociology, among many others. He is a co-author of the forthcoming book, Dynamic Class and Stratification in Poland (CEU Press). His current research is on methodological and substantive applications of cross-national ex post survey data harmonization. Yuriy Taran graduated from the Graduate School for Social Research, Polish Academy of Sciences. He works as a political analyst in Ukraine and currently comments on Ukrainian politics for the Polish media. His academic interests are in political trust, national identity, and geopolitical relations. Olga Zelinska is a PhD Candidate of the Graduate School for Social Research, Institute of Philosophy and Sociology, Polish Academy of Sciences and a research assistant for this National Science Centre funded project. Her dissertation is on contentious politics and the Maidan in Ukraine.